I tasted this candy last week and I find it really good. 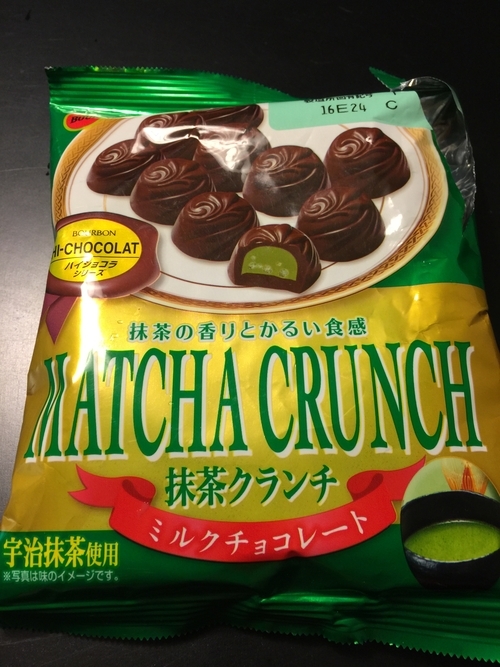 This Matcha crunch product is made from Japan. A company called Bourbon. I checked their website and it has the Japanese and English version. 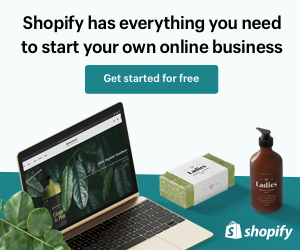 It is a good sign that this product came from a legitimate company that has standards. This chocolate treat is crunchy and tasty. 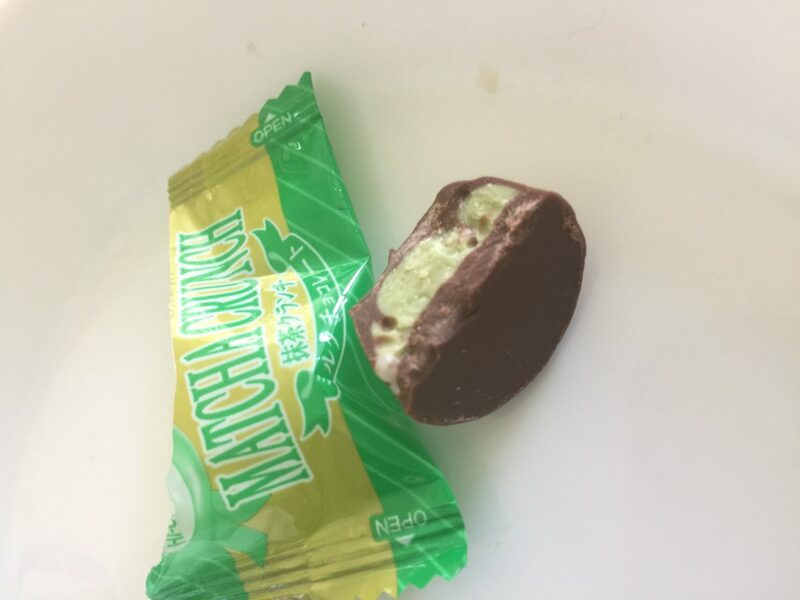 No wonder they call it matcha crunch. 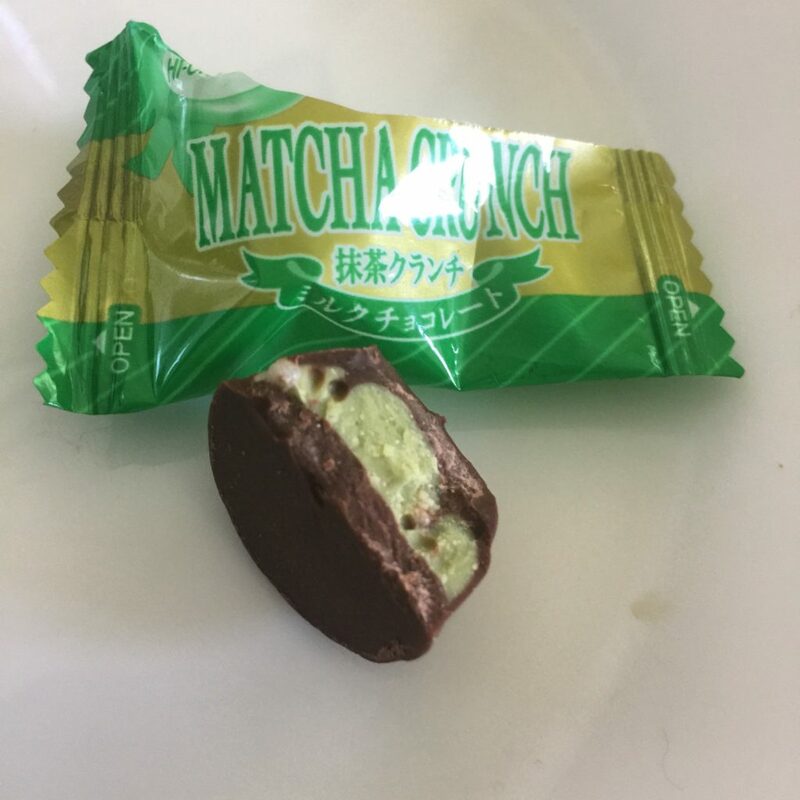 The thick chocolate cover makes this unique to someone who wants to enjoy matcha and chocolate at the same time. Someone like me! Inside it is a matcha flavored creme with rice crispies. Pop it in your mouth and you will definitely be wanting for more. I love matcha and chocolate too. I have the best of both on what I love on a candy. What is more to ask? Concern about calories? It is only 30 kcal for one chocolate. The ingredients are artificial and contain milk, nuts, wheat, and soybeans. It would not harm you. Though it will put fat on your love handles and be there as long as you work out. There are a lot of snacks that have matcha filling. Try to read the labels first before digging in. Not every package has natural flavors. For some who have allergies especially to nuts. This chocolate crunch may not be for you.